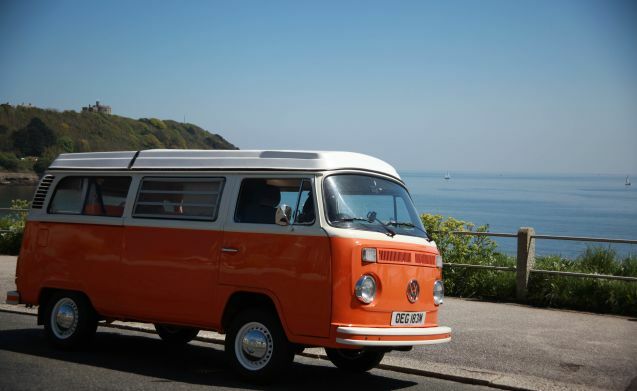 Book Blossom now for your Cornish Road Trip Adventure for 2019! We offer Weekend, Mid week Short breaks and 7 night stays. You can collect either Monday or Fridays. We're dog friendly also! 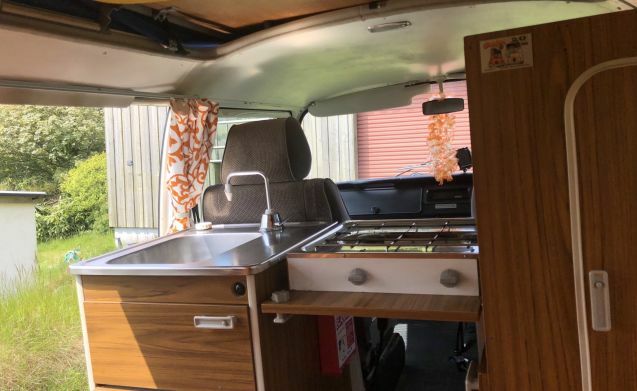 We have 2 Westfalia Volkswagon Campervans available to hire equipped with original interiors, accommodating 2 adults and a sleeping compartment upstairs for 2 children. 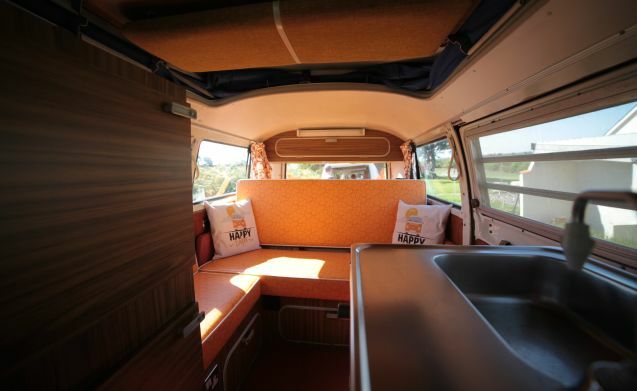 Blossom comes with a 2 ring gas stove and a fridge which runs like a cool box and it has a sink and water tank. Optional extra's are available, just shout what you need! 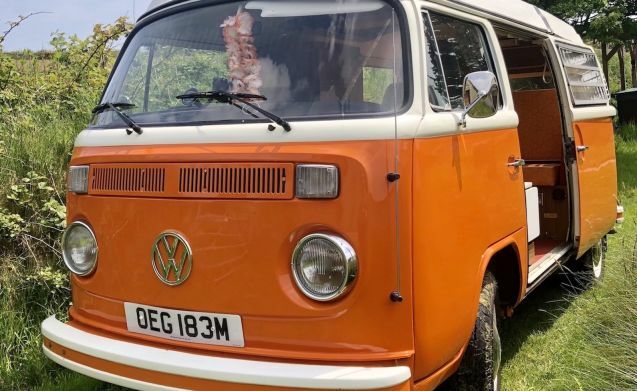 Blossom is our beloved orange 1970s Right Hand Drive original VW Westfalia Campervan. 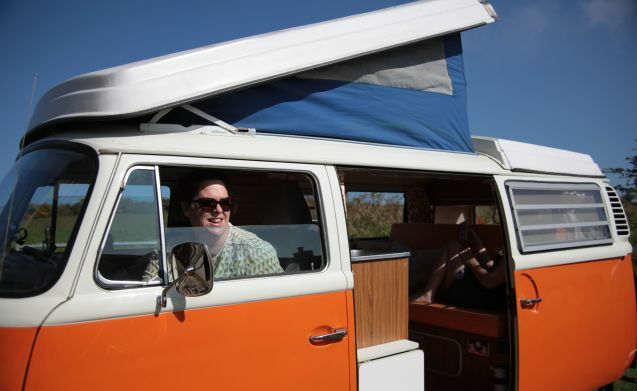 She is available to you pretty much as she left the factory in 1974, with the original, full Westfalia Continental Camping interior. 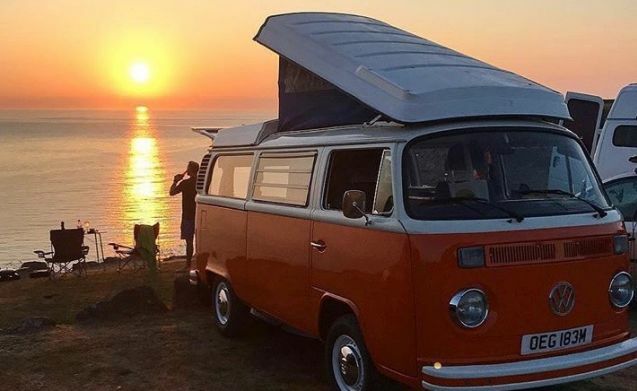 Fully restored and in beautiful condition, she sleeps two adults and two children and will get you around Cornwall in true style. When the roof’s popped up, you can easily stand up inside for cooking and getting changed and it also provides a small additional sleeping area. Whilst retaining all the original features, some subtle, modern facilities are also provided, including 240v mains electric hook-up and heating, an extra leisure battery and a modern Sony sound system with Bluetooth, line-in, USB and hands-free calling. There are two, modern, three-point seatbelts in the rear and an additional lap belt in the middle. 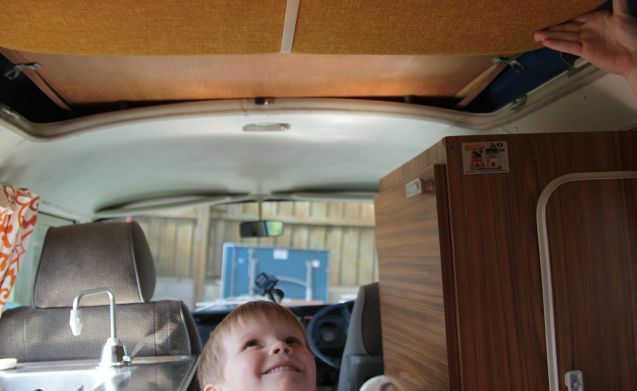 There is also a phone holder on the dash and a cigarette lighter socket, so you can easily play music or even use the satnav on your smartphone if you don’t fancy old-school navigation - although of course in the 70s, that was part of the fun too, right?! We will contact you with our Terms and Conditions when you book.